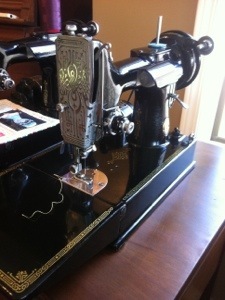 I have been lurking over a craiglist posting for a singer featherweight. The owner sent a pic and the machine looked like it was in good shape. It had a piece of wool over the arm of the machine so I didnt see the badge. 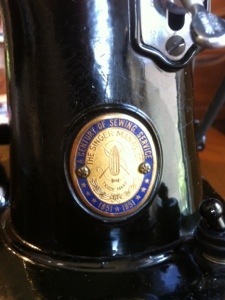 When I went to view the sewing machine – I lifted the wool off and saw the 100th anniversary blue rimmed badge. I paid and couldnt get home fast enough. Just my luck. She is called ‘moon’ after her original owner. The machine had one owner and was the families machine. 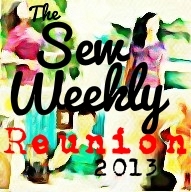 A shame no one in the family knows how to sew or wants it.